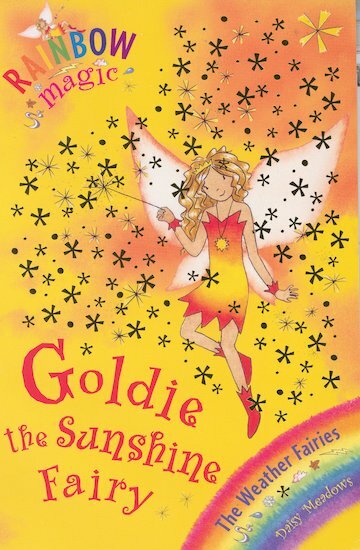 Goldie the Sunshine Fairy is all hot and bothered without her shimmery sunshine feather. Everyone is overheating in Fairyland and the human world. Can Rachel and Kirsty find the feather, and stop a sticky situation? They are looking for goldies magic sunshine feather. Goldie makes sure the sun comes out when it needs to.